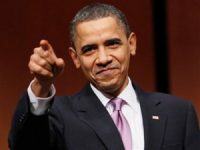 As President Donald Trump plans a slew of policies that could dismantle key parts of Barack Obama’s presidential legacy, the former president seems to be returning to his roots as a Saul Alinsky-style radical community organizer. This time Obama and his associates’ objective is to stop Trump’s domestic and foreign policy agendas on virtually all fronts – immigration reform, border security, the roll back of the controversial Obamacare system and more. According to some accounts, Obama and his associates may be seeking no less than Trump’s impeachment.